Shade grown rainforest cacao is the secret to our best selling organic dark chocolate. No Soy Added. No Vanilla. This is Vegan Chocolate with only 3 organic ingredients. 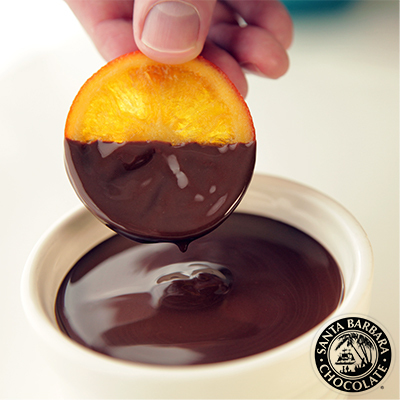 Our organic dark chocolate is also a bittersweet chocolate with full flavor. Never alkalized and all natural. This is real chocolate that will fit perfectly into your chocolate health plan. FAIR TRADE Organic chocolate benefits go beyond the bulk wholesale value and delicious taste to include the piece of mind knowing sustainable cacao farming is environmentally better. *Organic unsweetened chocolate, *organic sugar, *organic cocoa butter. Bulk organic dark chocolate 72% is a couverture chocolate made using traditional chocolate making principles based on the simple recipe of wholesome organic ingredients. The results are a 3 ingredient pure chocolate delicacy. Please read our reviews to learn more. 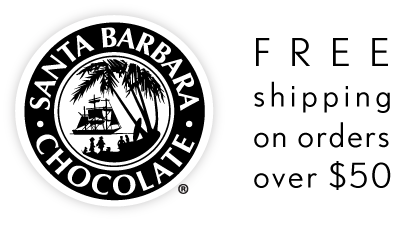 Organic Vegan Chocolates: Mix 16oz Santa Barbara Dark Chocolate without soy with 5oz Coconut Cream and 2oz Agave Syrup. Without overheating, melt ingredients together until no un-melted pieces are visible. Chill overnight. Spoon truffle balls and dust with red cocoa powder or dip in tempered Santa Barbara Dark Chocolate 72% couverture. Our bittersweet chocolate is recognized as a true vegan chocolate. This means we do not add milk ingredients and we only use vegan cane sugar. Most sugar is filtered through bone char while we use only sugar production with organic standards and Kosher oversight. This is why we are one of the only chocolate brands that can say our bittersweet chocolate is certified Kosher, organic and recognized as a real vegan chocolate by several news publications. We follow the health food store guidelines (there is no FDA ruling on vegan chocolate). We make sure only quality ingredients are used and we clean all production lines between manufacturing. As a chocolate brand based in California we have found if the quality is high and there is no difference in flavor, everyone prefers vegan chocolate. Additionally we feel vegan ingredients have less of an environmental footprint and therefore do not have a negative impact on climate. Additionally this type of healthy chocolate is better for cacao sustainability and animal health and well being. As chocolatiers running a chocolate factory we think of bittersweet chocolate being chocolates around the 72% cacao solids mark. The semisweet chocolates we think of being more like baking chips you'd use in a bakery recipe for vegan chocolate chip cookies or in making a chocolate sauce. So when we reference bittersweet chocolate on our website we are following the FDA law but also adding the extra metric we think makes sense that the chocolate should be more of an extra dark chocolate where the first ingredient is pure cacao like chocolate liquor (aka unsweetened chocolate, cocoa mass, chocolate etc). Some chocolate companies will have sugar as their first ingredient - we do not. Our bittersweet chocolates have cacao as the first ingredient (unsweetened organic chocolate which is ground cacao). Chocolate California Style: Organic Chocolate made in USA. *Organic unsweetened chocolate, *organic cane sugar, *organic cocoa butter. 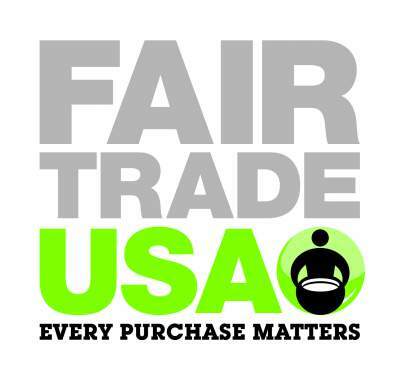 *Fair Trade Ingredients: Organic unsweetened chocolate, organic cane sugar, organic cocoa butter. Bulk organic dark chocolate couverture with no soy. 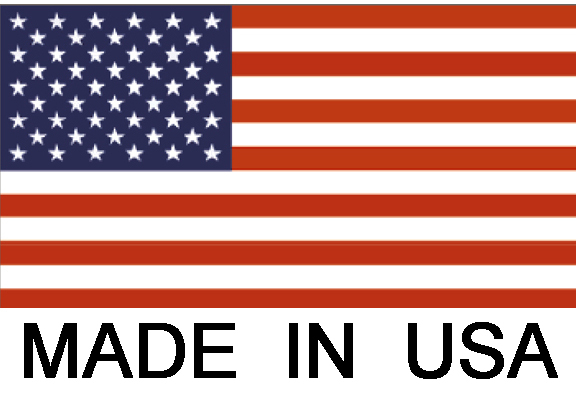 California Chocolate made in the USA is uniquely pure because there is no added soy lecithin or vanilla. Enjoy the ultimate flavor of real rainforest cacao. Smooth and earthy with slightly fruity flavors are the characteristics of our premium Dark 72% Chocolate. It's the best organic chocolate certified Kosher and Fair Trade.